Work in progress… paint cans and floor cleaning equipment in this odd bendy pano shot of the store interior. 1,000 square feet of future creative fun. Orange and grey giving some new graphic punch to the Lustron. Landscaping is in progress as we speak. Cleaning the Lustron’s 70-year-old interior wall panels on a November Sunday afternoon. Wash, rinse, wax and buff. It’s really amazing how durable the baked enamel finish is on these walls, they shine up like new. BTW, all of that warm grey is giving me art school flashbacks. 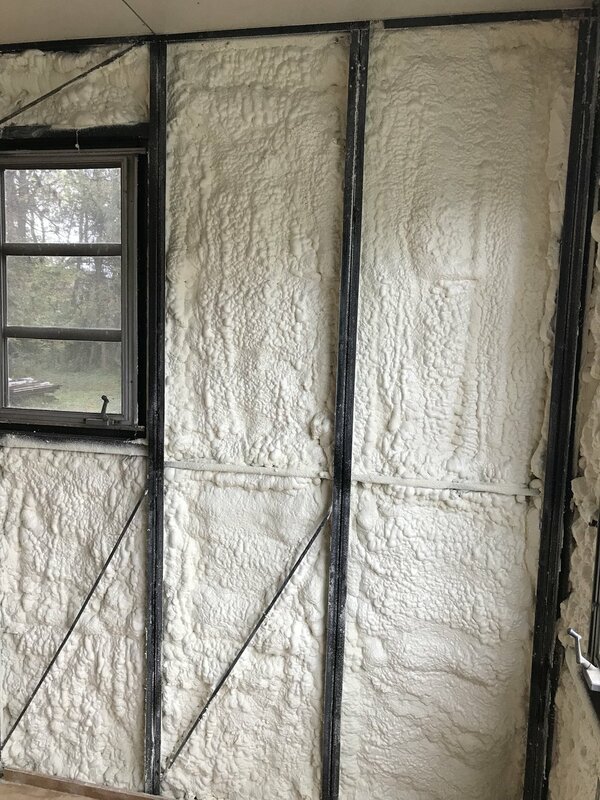 21st century foam insulation will keep this old house warm and dry.